The arrival of 24-hour news, multiple cable TV sports channels, and constant breaking news via various online platforms makes for a wave of information that's impossible to process in its entirety. Despite the many avenues, some stories are still likely to slip through the cracks and not quite make it to the mass public consciousness they probably deserve. For instance, sometimes word doesn't quite get out as far as it needs to that a major player of a bygone era — particularly a former NFL star — shuffled off the mortal coil. It's both shocking and sad that some of these amazing athletes don't get their due, everyone from veteran journeymen to one-shining-moment guys to multi-season Pro Bowl selections to Super Bowl champions, MVPs, and Hall of Famers. Here are the stories of some well-respected and highly accomplished NFL stars who passed away over the past few years. Four years after taking his team to the Super Bowl, in 2004, Tennessee Titans quarterback Steve McNair won the AP NFL Most Valuable Player award. (Well, he co-won, tying with Peyton Manning, which is an achievement unto itself.) McNair led all quarterbacks during the 2003-04 NFL season with a remarkable 100.4 passer rating, despite missing a month of practice and two regular-season games with various injuries. 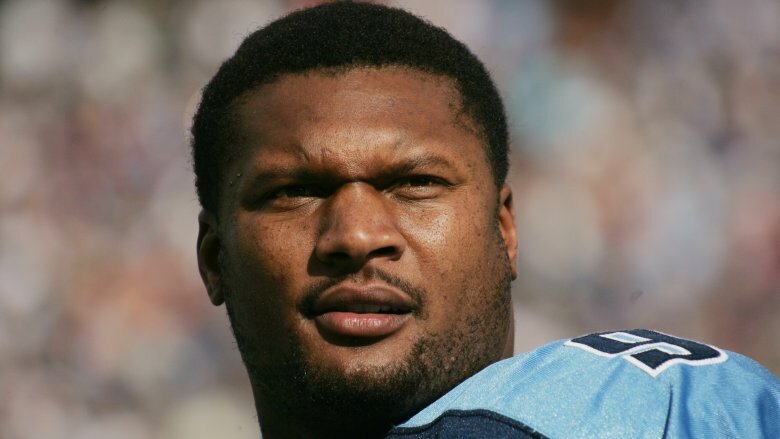 McNair led the Titans to a 12-4 record and a deep run in the playoffs … and just five years later, he was dead. The body of the retired quarterback was found in his Nashville apartment in July 2009, next to the body of Sahel Kazemi, his purported mistress. According to police, Kazemi shot McNair in the side of the head while he slept and then took her own life while sitting next to him. McNair had reportedly told Kazemi that he planned to leave his wife and four children for her, but didn't, and that she was also upset that McNair might have been seeing a third woman. McNair was 36. 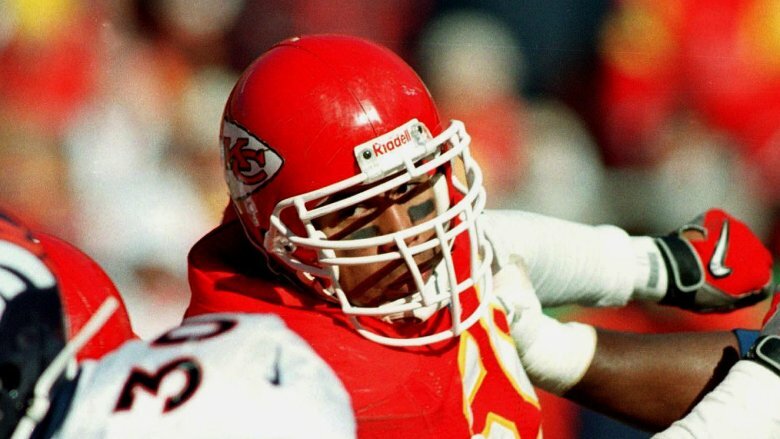 An All-American out of the University of Alabama, Derrick Thomas was selected fourth in the 1989 NFL Draft, and he immediately set out to forge a legendary career. 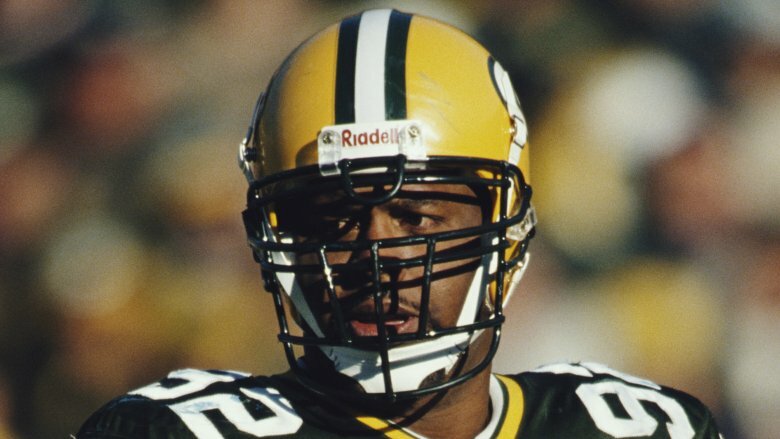 One of the most dominant and effective protectors in the history of the game, Thomas was named the Defensive Rookie of the Year in 1989, and in the following year, he recorded seven sacks in a single game, an NFL record. A nine-time Pro Bowl selection, no one recorded more sacks in the '90s than did Thomas, and he's currently at #17 on the all-time list. On January 23, 2000, Thomas drove to the Kansas City airport to make a flight to the NFC title game against the St. Louis Rams. The roads were icy, and Thomas flipped his vehicle multiple times after striking a median. Thomas wasn't wearing a seatbelt, and he was immediately hospitalized, where doctors discovered he'd broken his spine and neck. Paralyzed from the chest down, he'd likely never walk again. About two weeks after the crash, Thomas suffered cardiorespiratory arrest while medical personnel transferred him from a hospital bed to a wheelchair. He was on his way to a therapy session and had been recovering quite well. Doctors believed a blood clot in the lungs killed the 33-year-old linebacker. 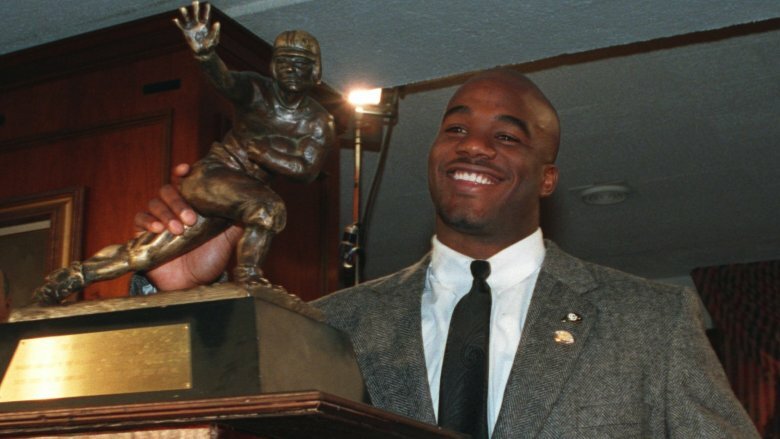 As a stand-out running back with the University of Colorado, Rashaan Salaam won the Heisman Trophy for the 1994 college football season, easily beating Steve McNair and Warren Sapp (among others). As a junior, he rushed for more than 2,000 yards and scored 24 touchdowns (an average of about two per game) on the way to a Fiesta Bowl win over Notre Dame and an end-of-season ranking of #3 in the polls. Not surprisingly, he was taken high in the 1995 NFL Draft — the Chicago Bears nabbed Salaam with the #21 overall pick, and he served the team well, rushing for 1,074 yards and scoring 10 touchdowns. Salaam's career would never return to those heights. Plagued by injuries, he quietly retired in 1999 after a short stint with the Cleveland Browns. He reportedly suffered off the field, going so far as to auction off his Heisman ring in 2011. In December 2016, Salaam's body was found in Eben G. Fine Park in Boulder, Colorado, not 2 miles from where he became a Colorado Buffaloes legend at Folsom Field. Police ruled his death a suicide via gunshot. Salaam was 42 years old. 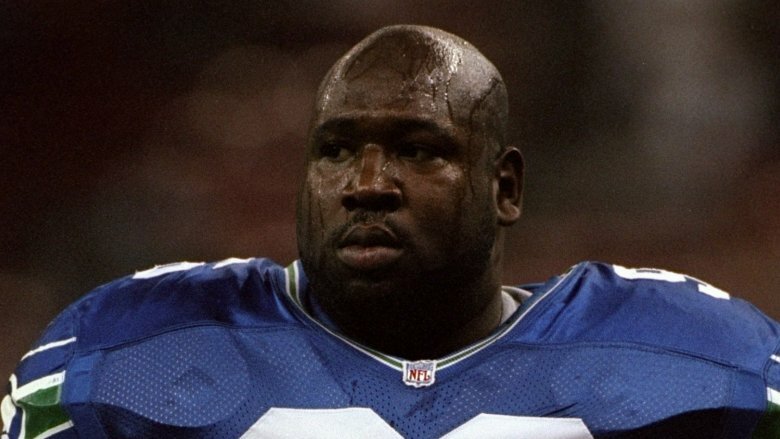 Cortez Kennedy, the defensive tackle known by Seahawks faithful as "Tez," was a quiet, unassuming guy who got the job done, game after game, year after year. (He played for 11 seasons, in fact, all in Seattle.) While it seemed like only Seahawks fans noticed Kennedy's innovative and dominating defensive work, the powers-that-be did, too, on occasion — in 1992, he won the NFL Defensive Player of the Year award, a season where he amassed 14 sacks and 92 tackles. Even when the Seahawks were bad (as they usually were in the '90s), Kennedy remained great — the season that he was named DPOY, his team went 2-14. Nevertheless, the Seahawks retired his number and Tez was enshrined in the Pro Football Hall of Fame in 2012. Sadly, on May 23, 2017, Kennedy was found unresponsive in his Florida apartment by a friend. He was pronounced dead at the age of 48. An autopsy by the Orange County Medical Examiner's Office determined the cause of death to be congestive heart failure, brought on by a combination of hypertension, pneumonia, and diabetes. 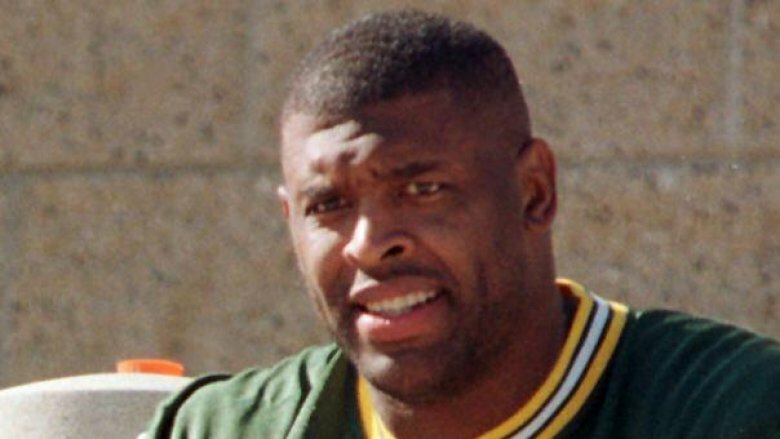 They called Reggie White the "Minister of Defense," both because the 6'5" tall, nearly 300-pound defensive end and tackle was so hard to get around, and also because he was an ordained minister. A high-school star and All-American at the University of Tennessee, White first went pro for the Memphis Showboats of the short-lived USFL before joining the Philadelphia Eagles. In his rookie year, he nailed down 13 sacks in 13 games, and the next year, enjoyed his first of 13 straight Pro Bowl selections. In 1993, White went on a high profile free agency "tour," seeking out the best NFL city were he could expand his ministry work. The winner: Green Bay, Wisconsin. The Packers gave him $17 million for four years, helping bring about a new golden age for the team. With Brett Favre at quarterback, the Packers won their first Super Bowl since 1968. After a return trip to the Big Game ended with a loss to Denver, White retired and planned to take a sportscaster job with CBS, but the network rescinded the offer when White made some controversial comments about race and homosexuality during an address to the Wisconsin legislature (for which he later apologized). So, White returned to the Packers … where he almost inexplicably won his second Defensive Player of the Year award. The member of the NFL's 75th anniversary team died in December 2004 of heart failure brought on by a respiratory ailment. He was 43. Kenny McKinley etched out a legacy at the University of South Carolina, where he became the school's all-time leading wide receiver with 207 catches for 2,781 yards under coach Steve Spurrier. 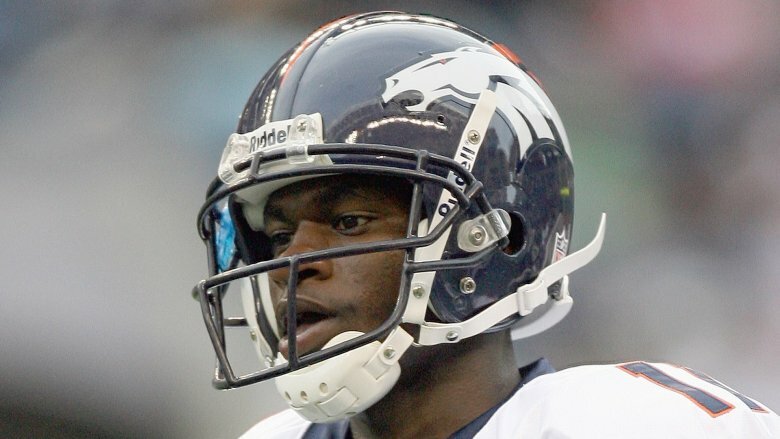 Joining the Denver Broncos in 2009, he played eight games in his rookie season (where he returned seven kicks for 158 yards), only to hit the injured list with a late-season knee injury. During the offseason, he got healthy, but sustained a different knee injury and returned to the not-ready-to-play list in 2010. In September 2010, authorities arrived at McKinley's home in suburban Denver, where the 23-year-old lay dead from a self-inflicted gunshot wound. According to an investigation by the Arapahoe County Sheriff's Office, McKinley had a lot of off-the-field troubles and was reportedly despondent. A few months before his death, McKinley borrowed $65,000 from Broncos quarterback Tom Brandstater to cover various debts, notably $40,000 he owed to Las Vegas casinos that were aggressively seeking payment. He'd also told friends he'd considered suicide, before purchasing a handgun from a teammate. 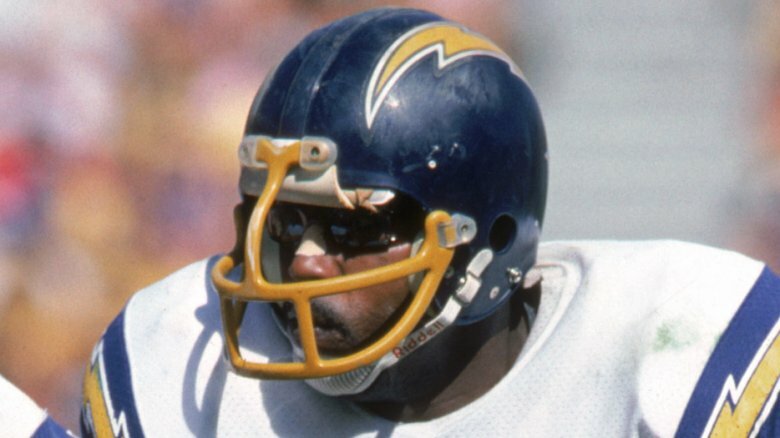 Chuck Muncie had a ton of potential, but personal problems may have limited some of his accomplishments. The running back out of U.C. Berkeley finished in second place in voting for the 1975 Heisman Trophy (losing to Archie Griffin of Ohio State), and was selected at #3 overall in the 1976 NFL Draft by the New Orleans Saints. Muncie quickly established himself as a standout for the young Saints franchise, setting a team record in 1979 for running backs, running for 1,198 yards. After some odd behavior (such as sleeping through meetings), the Saints traded Muncie away to the San Diego Chargers in 1980. The following season, the three-time Pro Bowler ran for an impressive 1,144 yards with 19 touchdowns. Muncie put up good numbers until his career came to an abrupt halt one game into the 1984 season. The NFL suspended the running back when he tested positive for cocaine. That suspension became a de facto retirement. By 1988, Muncie was homeless, and in 1989, he was arrested and sentenced to 18 months in prison for trying to sell 2 ounces of cocaine. After his release, Muncie turned things around, administering to at-risk youth about the slippery slope of drugs, and in 1997 started the Chuck Muncie Youth Foundation. In May 2013, the 60-year-old Muncie died at his home in California of what a spokesman said was a heart attack. In June 2013, the 61-year-old Jennings passed away in his New Jersey home from complications of Parkinson's disease. 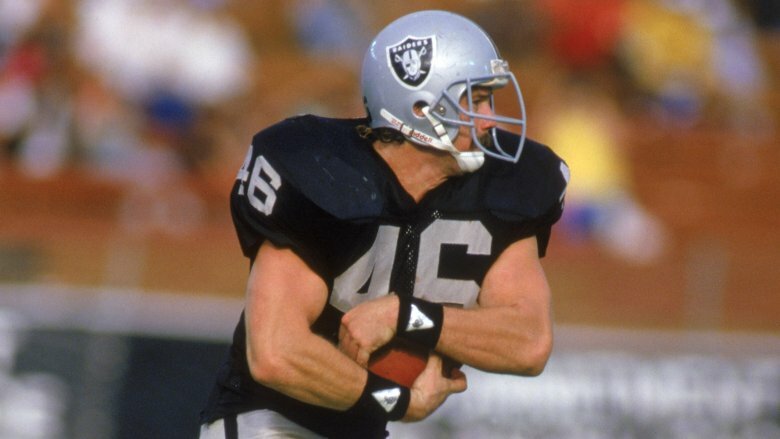 Todd Christensen's unique football journey began at Brigham Young University, where he starred as a running back. A starter from the very first game as a freshman (a rarity), the BYU Hall of Famer switched positions (another rarity) when he reached the NFL, moving over to tight end. Playing for the Raiders both in Oakland and Los Angeles, the five-time Pro Bowl selection won two Super Bowl rings, in 1981 and 1984. In his capacity as a tight end, he did a lot of blocking but also managed to make a lot of big catches. In 1983, Christensen caught 92 passes, at the time an NFL record for single-season catches by a tight end. (That record stood for just three years … until Christensen broke it with 95 catches.) After he retired in 1988, Christensen provided color commentary and analysis for NBC and ESPN, and covered Navy games for CBS in the 2012 season. In November 2013, Christensen, suffering from chronic liver problems, went into surgery in a Utah hospital for a liver transplant. 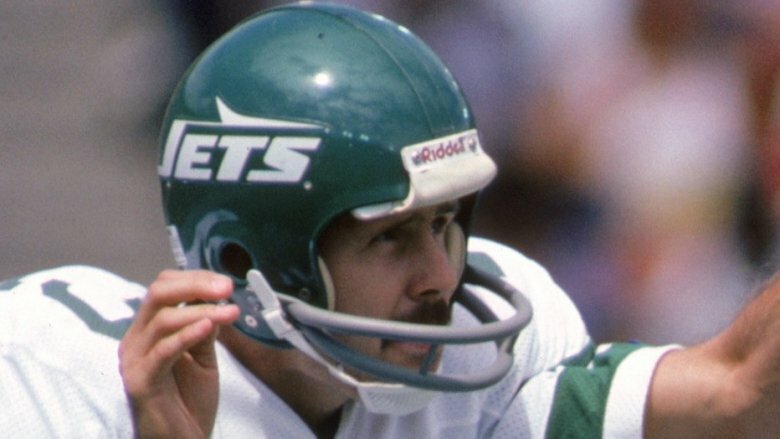 Complications developed, and the 57-year-old NFL star passed away. Jason Hairston was a big guy at a little school — a starting linebacker for the U.C. Davis Aggies (which was, at the time of Hairston's matriculation in the early '90s, a Division II school). While he was the big man on campus in college, Hairston's term in the NFL was brief and quiet, a low-on-the-roster guy for the San Francisco 49ers (1995) and Denver Broncos (1996). But life goes on, and Hairston made a much bigger name for himself after his playing days were over. First, he founded outdoor supply company Sitka Gear. A neck injury led to him leave the company, so he started another, similar hunting/outdoor sports/clothing concern called KUIU. Within five years, the operation was pulling in $50 million in annual sales. 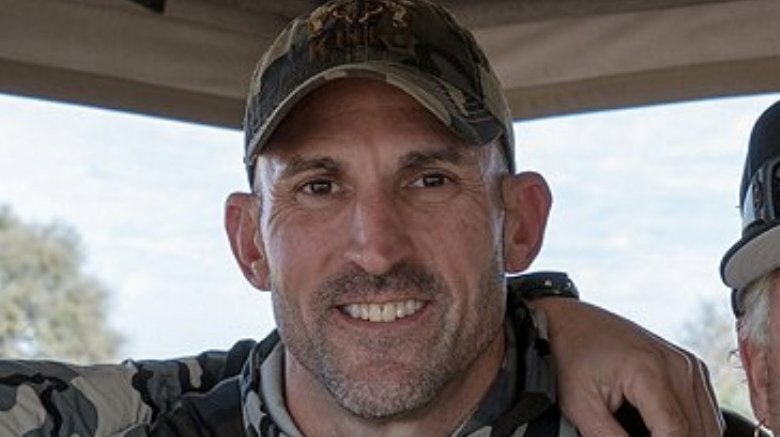 His ties to the worlds of hunting and big business were such that in 2017, Donald Trump Jr. asked Hairston (his friend and hunting partner) to serve as a liaison between the White House and the Department of the Interior on hunting, conservation, and public land use issues. Despite his off-the-field successes, Hairston suffered greatly. In 2016, he announced that he was coping with symptoms of CTE (chronic traumatic encephalopathy). In September 2018, the 47-year-old Hairston committed suicide.